Today, more than ever, marketers are required to be efficient with their marketing spend. There’s increasing pressure to demonstrate a return-on-investment; and retailers often demand ‘fact-based-decisions’ before allowing suppliers to clutter their store with initiatives. 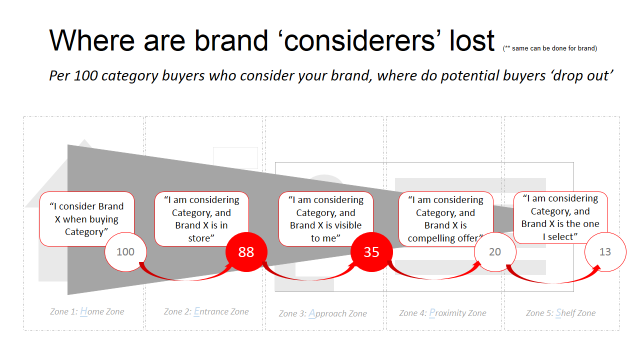 In this environment, the Shopper Marketer needs to be clear on ‘where’ and ‘how’ to influence his or her shopper to make a positive (category or brand) selection. Marketers cannot afford to spend money ‘everywhere’, rather, they must decide where to focus to get bang-for-buck. Shopper Zones are simply a reference to the five locations, from ‘Home’ to ‘Shelf’, where a shopper can be influenced to make her decision to buy a given category or brand. The decision to buy or not to buy your category/brand can be influenced anywhere between these two extremes of Home and Shelf. Knowing which one or two of the zones is crucial in the decision-making process is a way to achieving an efficient level and distribution of marketing spend. And Zone 5 is ‘Shelf’, where the shopper ultimately has to make a SKU selection, and pick up a product to complete her transaction. While we describe these as physical zones in a store, the same thinking can be applied to online. The same mind-sets of ‘Pre-Store’ and ‘In-Store’ apply, albeit with slightly different dynamics. Why are Shopper Zones Important? Each zone in the shopper journey has a different level of importance or influence on decision-making. Take a demonstrative example of ‘chilled heat and eat pizza’ in a supermarket. Let’s say that the target market is ‘working mums’. They enter a store after work, looking for a quick meal to satisfy the family that evening. If insights showed that 55-of-100 working mums entered the store with a need for a quick meal, but were not specifically considering ‘pizza’, then what is the implication? Well, firstly, the category that inspires mum on entrance to the store, or grabs her attention by the entrance, is more likely to get chosen. The category that is recessive/does not offer an idea in this zone loses. Surely ‘efficient spend’ here is about ensuring that we inspire mums on entrance to look for pizza? The thinking also extends to Brand Marketing. Let’s say that our insights also show that only one-third of shoppers who ‘consider’ our brand actually walk anywhere close to our shelf location where they can see it. Surely ‘efficient spend’ here is about ensuring that the location of, or signage to, the brand is optimised, to get as many ‘brand intenders’ to ‘see our offer’ as possible? 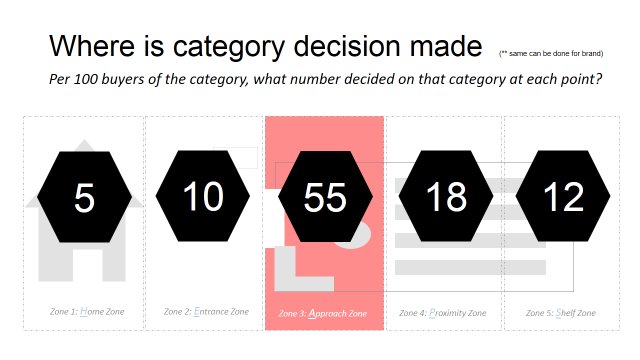 Shopper Zones tell us the location of the category and brand decision, so ‘where’ to aim activity. Knowing ‘where’ the shopper makes his or her decision is one thing; but knowing ‘how’ to engage the shopper is quite another. ‘Shelf’ Zone: then a logical layout of products and on-pack messaging or shelf stripping / stickers may be more effective. 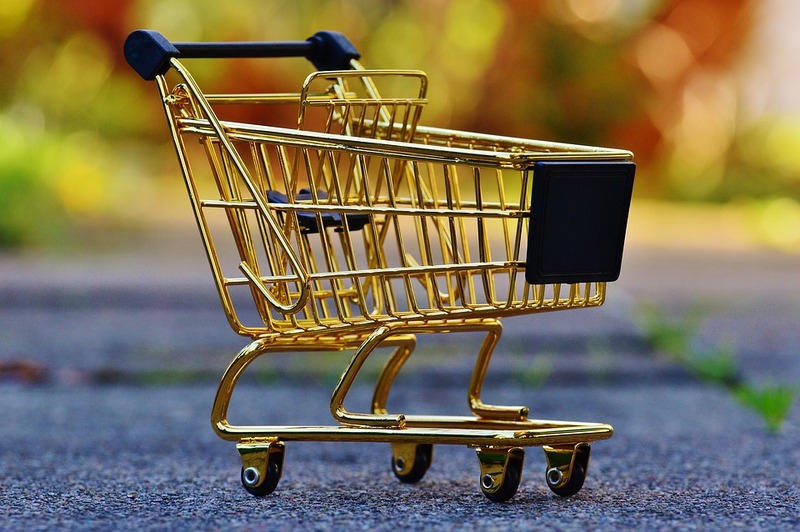 The message here is quite simple: to know ‘where’ to focus your communication spend with shoppers, know ‘where’ the key moment occurs when they decide on your category or brand . Without this information, spend will remain unfocused, and its potential impact diminished.